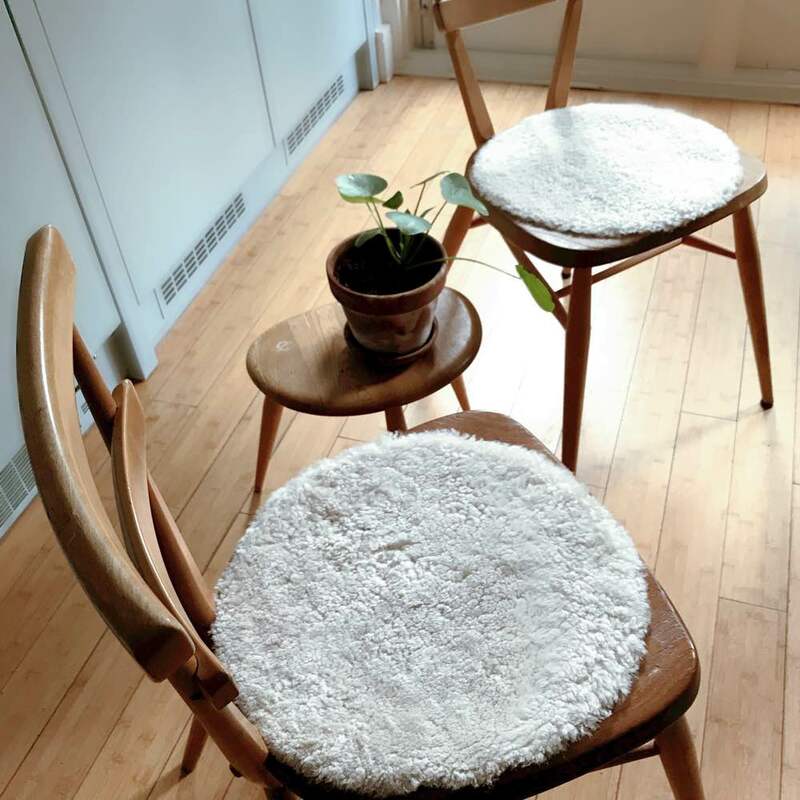 Above: Sheepskin seat pads on my beloved Ercol chairs add a layer of cosy warmth around the dinner table — available to order through Home Address. On the 3rd day of Christmas, my true love gave me the gift of rich textures and warm colours from Home Address to keep me cosy through the winter. Founder of online home goods shop Home Address, Celine Lynch shares her top tips on giving presents that make a cosy, winter home. Read more about Celine and Home Address in our interview with her here. 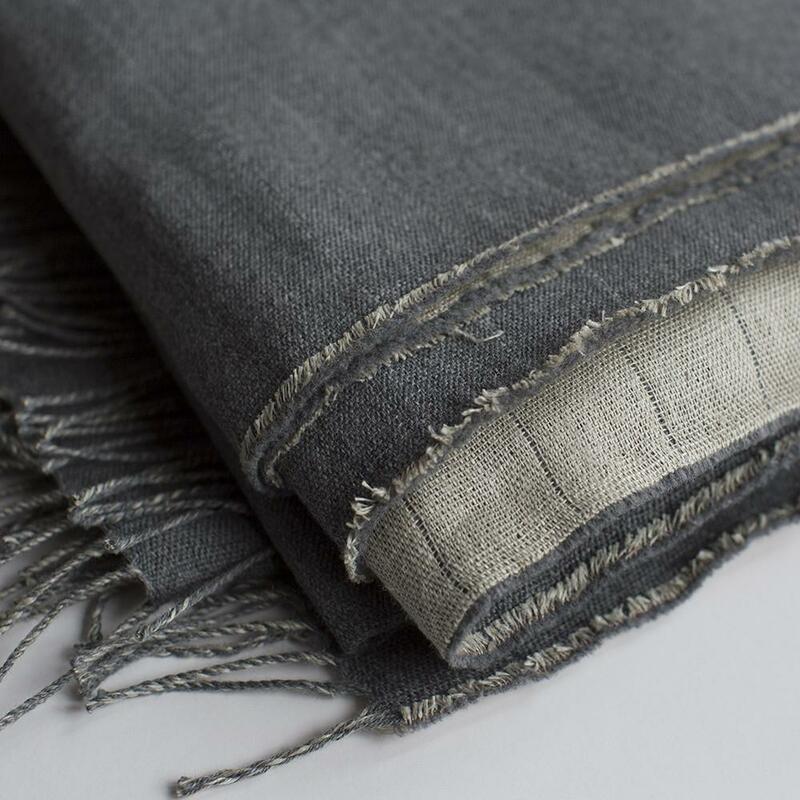 Above: Top of my wish list for its seasonal versatility — this Reversible New Wool and Linen Throw showcases the weaving talents of one of the few remaining mills on the north west coast of Ireland. You can use linen side down as a light, cool addition to summer evenings and when the nights get a bit cooler, flip it over to the wool side. 50% Irish linen, 50% wool, Dry clean or wash at 30′, 200cm x 150cm, £120. 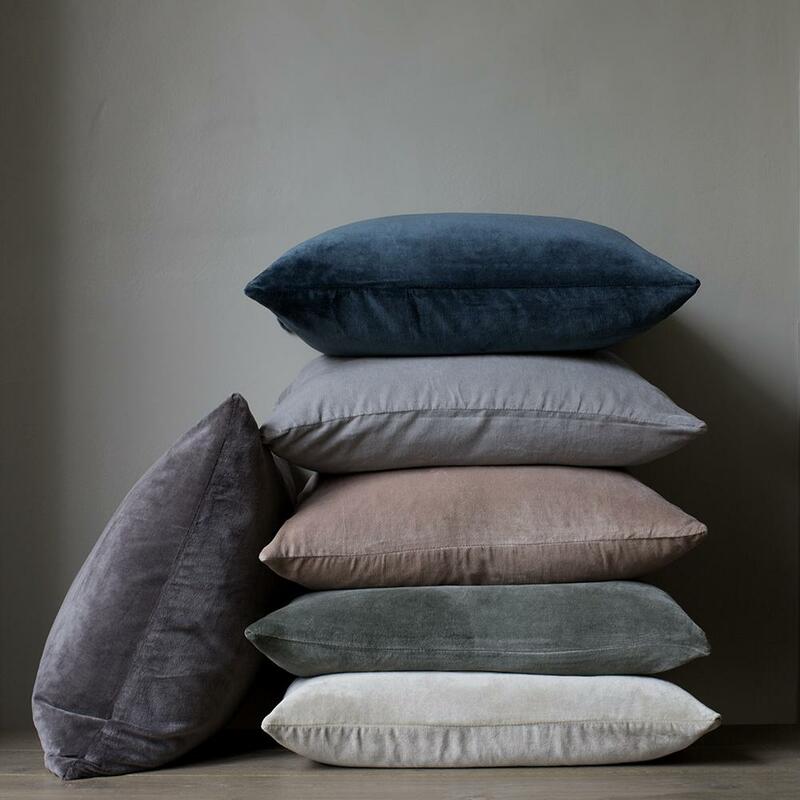 Above: Can you ever have enough Hand Dyed Velvet Cushions? Large square cushions are perfect for lounging on a sofa, and velvet adds a sense of warmth, depth and luxury to a room. 100% cotton velvet, 30′ wash. Hidden zip closure, 50cm x 50cm, Feather filled cotton pad included, £45. Read more in our interview with Celine Lynch and Home Address.